Since I’m still on shorter distances, I don’t put too much thought into my race day outfits. A dry fit tank and some running capris are really all I need. The Lulu top looks like a great splurge though – that color is so mesmerizing! Your outfit is super cute!! I’ve heard about Lululemon, but I’ve never been there. I think OKC is finally getting one, which could be a problem since I’m addicted to buying running attire. Thanks! 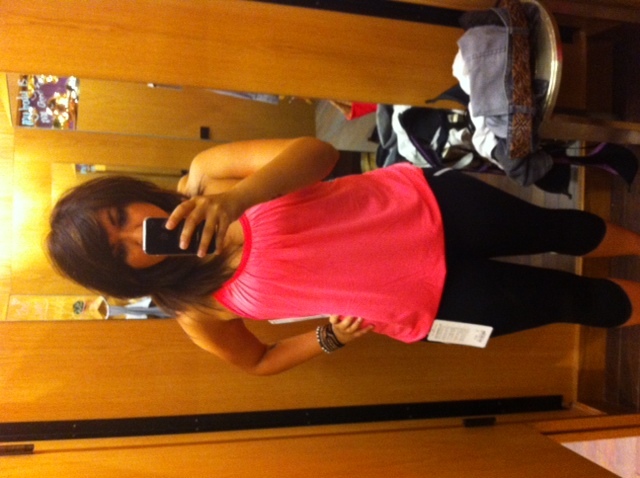 Yes, Lululemon is the best/worst thing to happen to me… Great for no chafing but bad for my pocket.